The Elementary Ballet Division programs are designed for students in grades Kindergarten through Third grade. Whether your student has ballet experience or is just starting, we find that students at this age learn best with students in their age group. 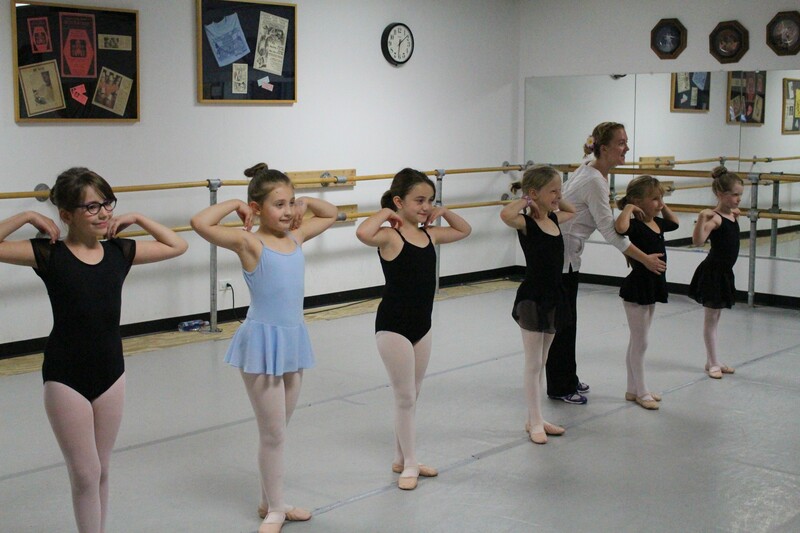 Each Elementary Ballet level is designed to prepare students for more advanced study. Choose your child’s grade level below to learn more about each class. Elementary Ballet classes for students in Kindergarten or age 5 by October 1. All classes have an optional recital at the end of the year. Elementary Ballet classes for students enrolled in first grade or age 6 by October 1. All ballet classes have an optional end-of-year recital. Add-on classes that participate in recitals are noted. Elementary Ballet classes for students enrolled in second grade or age 7 by October 1. All ballet classes have an optional end-of-year recital. Add-on classes that participate in recitals are noted. Elementary Ballet classes for students enrolled in third grade or age 8 by October 1. All ballet classes have an optional end-of-year recital. Add-on classes that participate in recitals are noted.